We pride ourselves in providing first class services that represent your organization's commitment and compassion to your clients. Providing a reflection of your funeral home through compassion, care, and professionalism with every family interaction. Professional service, convenient payment methods, and well-rounded knowledgeable staff. Our transport team will go anywhere and can handle all situations. Knowledgeable and compassionate staff providing phone and message services for your business. Knight Riders Mortuary Transport will exceed your expectations. We truly understand the needs of your business and provide services that excel beyond your expectations. Not only do we pride ourselves in our professionalism, but our team’s experience spans from funeral service to law enforcement and emergency services. 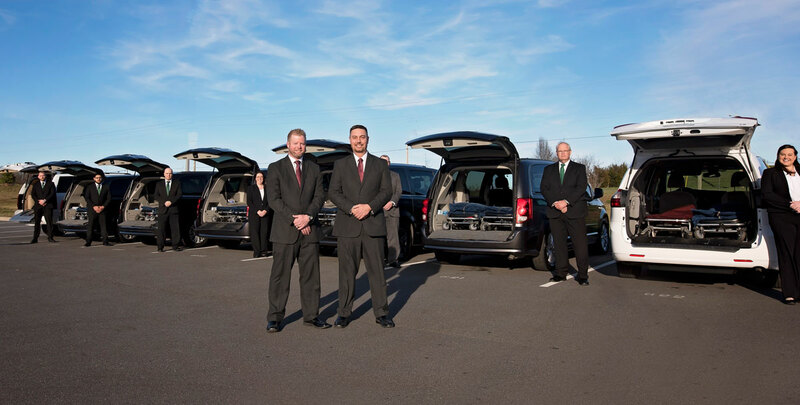 Our staff is trained by Zach and Charles who both have experience in the law enforcement field and more importantly, within the funeral industry. Knight Riders is proud to offer an all inclusive service that includes transport and answering services. We handle all interactions, from first call to final destination, in the manner that best fits the needs of your organization. Knight Riders is truly a full service funeral support organization. We have a large staff that can handle numerous transports and special need removals in an efficient manner. Our phone team provides quality service that complements our transport team. We have worked hard to produce a team who not only understands the needs of the funeral industry, but also the families that are served. Our team is trained to meet the needs of your organization. Our employees are knowledgeable and service oriented, always putting the needs of the client first.